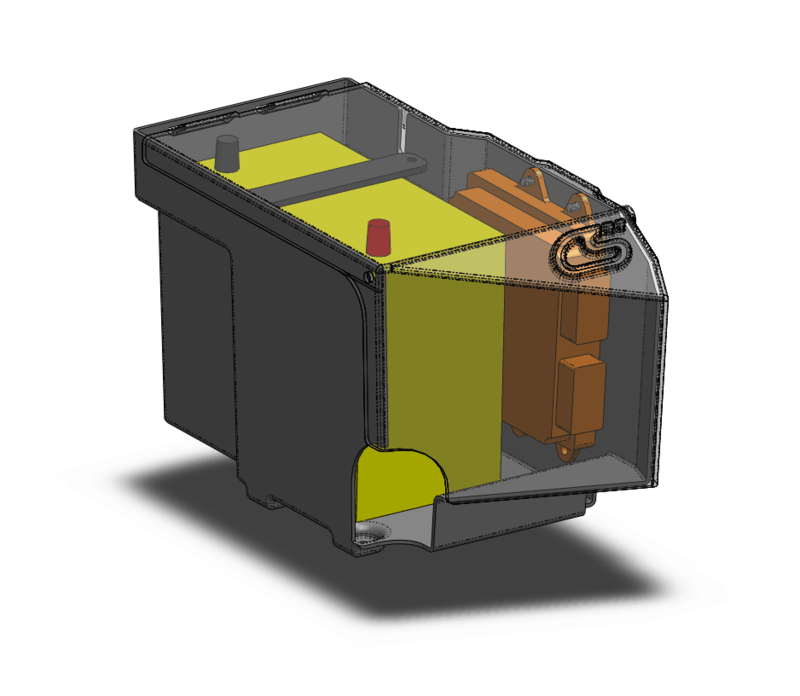 CorkSport is proud to announce the new ECU Relocation Battery Box designed for the 51R battery and 4” intake systems. We love the clean and simple look of the CorkSport full size battery box and we know you do also, so our goal here was to bring that same level of awesomeness to all the big power guys and gals running 4” intakes and 51R batteries. We knew we couldn’t compromise on the fit and finish you’ve grown to love; and this new battery box doesn’t disappoint. The greatest challenge came in the form of locating the ECU inside the box; as that is the whole point of the CorkSport battery boxes. With a bit of massaging and adjusting, we innovated a sleek solution for the ECU placement without compromising the style and fitment of the battery box. In the original CorkSport battery box the ECU was located on the front panel. This packaged well with the full size battery and made access easy, but in order to increase the clearance for a 4” intake system we had to reduce the width of the battery box as much as possible. This required us to rethink the location of the ECU and the overall design of the battery box to accommodate it. Check out the computer drafted model below. Moving the ECU to the side provided ample clearance for a 4” intake system and retained the standard battery location. The front of the battery box had to be extended out a bit, but this also gave us a chance to keep the wiring harness inside the box to maintain the high level fit and finish. To finish off the installation, the battery is retained with M6 studs fastened into the battery box and a 0.120” anodized aluminum bracket. 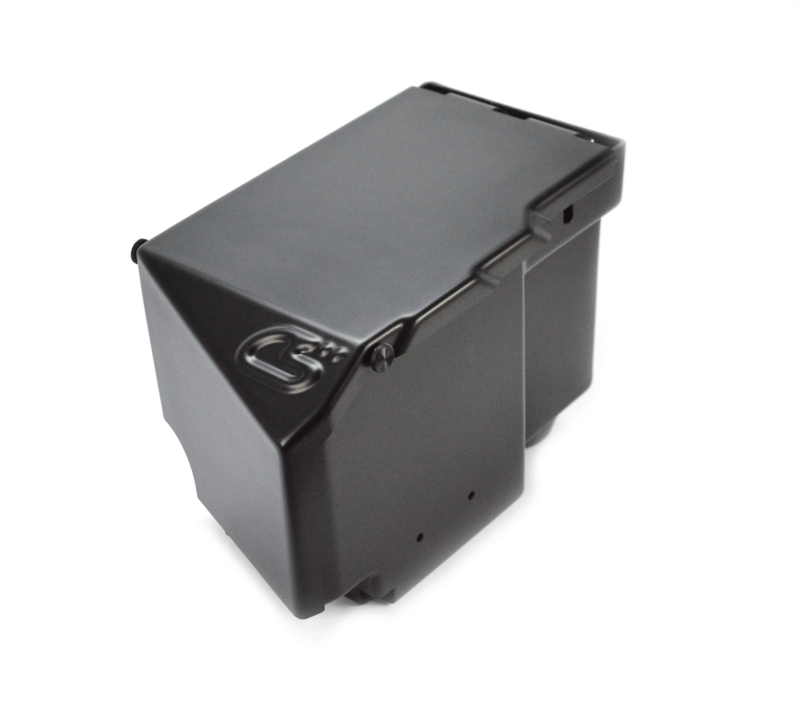 Overall the new 51R ECU Relocation Battery Box hit all the marks for fit, finish, and performance. If you’re looking to downsize your battery, upsize your intake system, or are just plain tired of looking at all those unsightly wires then let the CorkSport 51R ECU Relocation Battery Box be the answer to your goal. How do you get space to install a 4 inch intake in a Speed3? 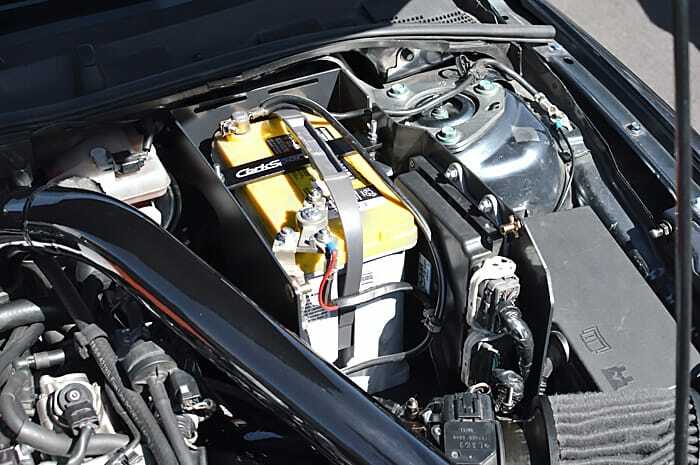 Who offers a battery relocation kit for the Mazdaspeed 3? 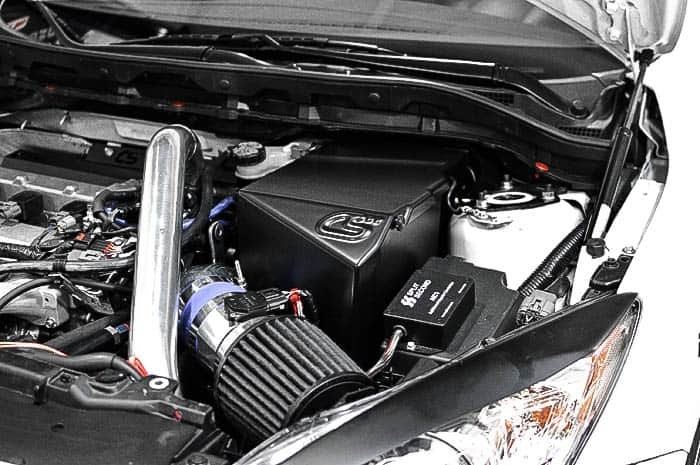 The CorkSport 51R Battery Box & ECU Relocation is NO Compromise solution for the installation of a 4 inch Mazdaspeed 3 Intake and still keep a clean engine bay. We love the clean and simple look of the CorkSport full size battery box and we know you do also, so our goal here was to bring that same level of awesomeness to all the big power guys and gals running 4” intakes and 51R batteries. We knew we couldn’t compromise on the fit and finish you’ve grown to love; and this new battery box doesn’t disappoint. The greatest challenge came in the form of locating the ECU inside the box; as that is the whole point of the CorkSport battery boxes. With a bit of massaging and adjusting, we innovated a sleek solution for the ECU placement without compromising the style and fitment of the battery box. Previous PostPrevious RX-9 Rotary Engine Puzzle: Confirmed? Next PostNext Welcoming Our New Partners of The CorkSport Shop Program!